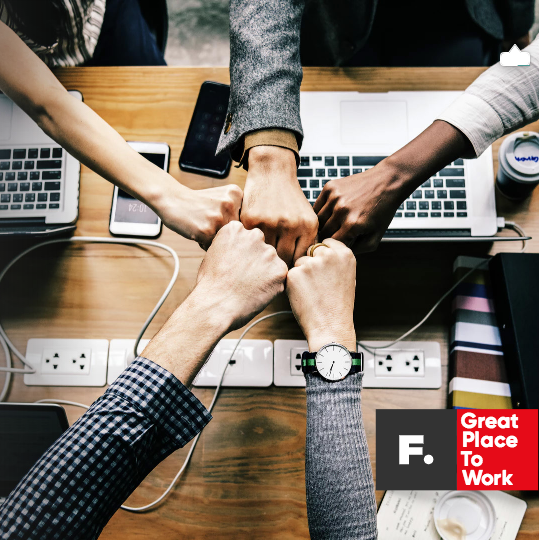 GPTW & Found - It's not just about the gender pay gap! It’s not just about the Gender Pay Gap! A co-hosted event by Great place to work & FOUND. Keen to understand how organisations can benefit from making a quantifiable difference to equality in the workplace? Want to know more about the advantages of adopting a truly gender-neutral approach? Then join representatives from some of the top-ranking companies in the inaugural Best Workplaces for Women List to explore what fairness really looks like within successful business teams and how achieving greater equality is not just about closing the Gender Pay Gap. You’ll hear from an inspirational line-up of speakers, have time to network with other like-minded organisations and leave with lots of practical hints & tips on the changes companies can easily make to ensure all staff feel valued, trusted and above all, able to contribute to overall business growth. Learn from the best and hear tips and advice from a group of businesses who were ranked highly in last year’s Best Workplaces for Women List. The under-representation of women in STEM (science, technology, engineering and mathematics) companies is a concerning and well-documented reality. While the causes of this lie in complex, deep-rooted societal factors, a major part of the solution lies with employers as the responsible gatekeepers of these professions. The IT sector particularly has traditionally faced difficulties in attracting women, leading to discouraging numbers of female employees particularly in senior positions. Workday, a human capital management software provider, have attempted to tackle the issue partly by encouraging all employees to work as flexibly as they like, allowing family lives to be smoothly balanced alongside work. Alongside this, they have introduced a number of targeted development and peer networking programmes including a new internal UK network called Women@Workday. The network focuses on empowering female talent by leveraging Workday’s culture, building connections and supporting career progression. Kate McCarthy, founder of McCarthy Recruitment, wholeheartedly believes in giving something back to her staff, aiming to make their lives better, both in and outside of work: ‘Our Purpose is to create a profitable business which is sustainable and provides us all with the ability to build a life outside of work which meets our needs, our goals and also provides choice for ourselves and our families’. A truly family-friendly organisation, McCarthy Recruitment goes over and above supporting employees’ lives outside work, allowing a natural and easy work-life balance, especially for female employees. Their ‘New Parenting Support Group’ for employees to give and receive peer support during this major life transition is a perfect example of this focus. Found’s ongoing success is borne out of its shared passion, determination and overwhelmingly collaborative approach. To achieve this, the digital marketing agency has built a team who exude talent and ability and who’re all focused on the desire to achieve optimum results – irrespective of gender. Resolute in their belief that people are the heartbeat of their business, Found’s unwavering focus on fairness also ensures that everyone is treated as individuals, where everyone can feel part of the Found family, where trust and respect is a two-way street and where equality is championed by each and every member of the team. Over the past few years, the business has equally sought out initiatives that will make work ‘work’ for their team, trusting them to plot their weeks the most efficient way possible and allowing them to balance work and personal life better. For example, the introduction of later starting and earlier finishing to suit school runs and childcare needs as well as upfront shared parental leave discussions with expectant parents so they are aware of all of their options from the start. Please note: This is a limited attendance event so please reserve your space as soon as possible to ensure a place.